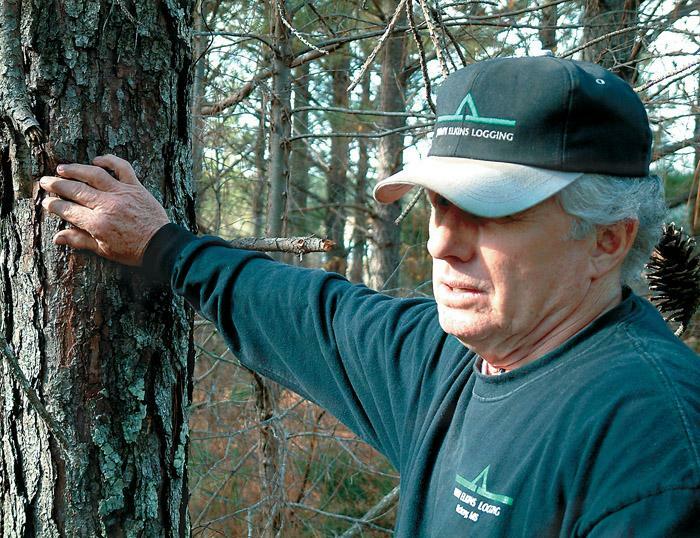 Southern Loggin’ Times’ May issue spotlights Mississippi’s former rodeo champ Ralph Morgan, who keeps irons in the fire with logging, ranching and land clearing ventures. Also featured is Virginia’s Robbie Patterson, who, after years of contracting for other loggers, bought out a client and started rolling with a ready-made business. 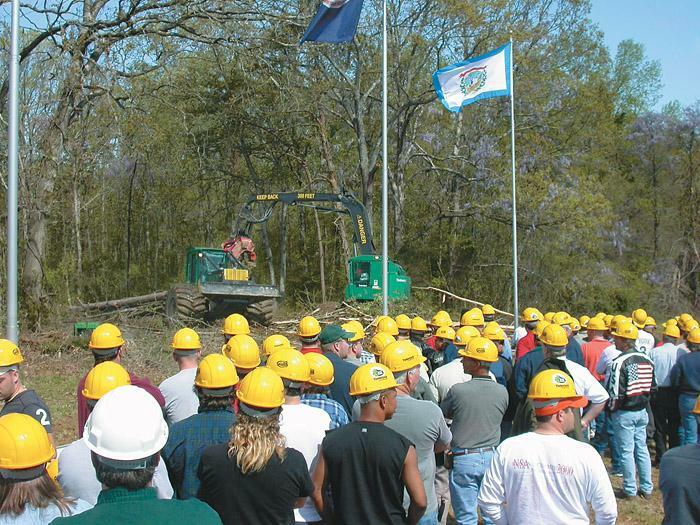 NC’s young logger Jeremy Rhodes is highlighted for the smooth thinking and solid business sense that have set him up for success, while Miss.’s veteran logger Jimmy Elkins is presented for extoling the virtues of cut-to-length logging. An article provides information about the upcoming All American Loggin’ Demo. Robbie Patterson, 32, started his logging career in an unusual manner. Rather than inheriting a family business from a father or grandfather, or hiring on to work with an established logging company, he started a contract cutting service. Patterson originally began cutting for Davis Lumber Co. in Blackstone in 1993, working with a cousin. 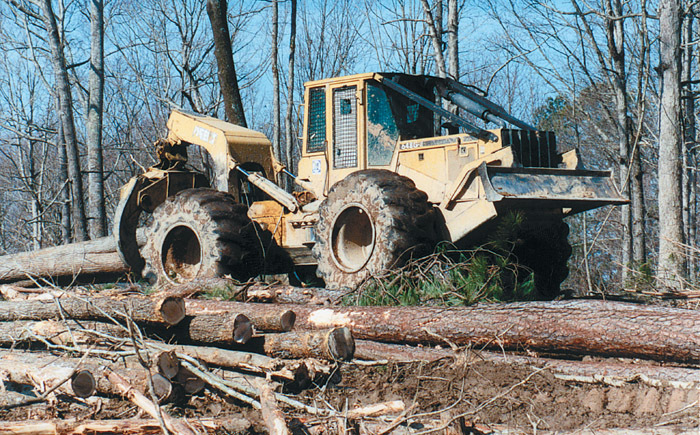 Jeremy Rhodes was plunged head first into the world of logging when Hurricane Fran hit the North Carolina coast in September 1996, bringing massive damage inland to homes, businesses and thousands of acres of timberland. Rhodes, then 21, felt an obligation to help those buried in wreckage and timber debris. After months of preparation, the inaugural All American Loggin’ Demo, a family-oriented, lower-cost venue created to replace the traditional inside forest products industry show in Atlanta, gets under way May 30 near Tuscaloosa, Ala. A strong turnout of exhibitors and customers is expected as logging equipment representatives from throughout North America greet loggers and their families/employees from throughout the South and beyond. 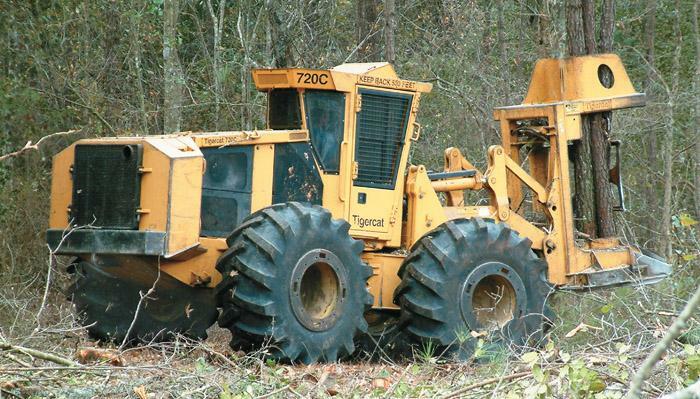 Jimmy Elkins says he’s seen the future of logging and it is cut-to-length (CTL). His rationale isn’t based out of inexperience or a gee-whiz first impression. He’s looking at the big picture and changes that loom on the logging horizon. Elkins, 60, owns Jimmy Elkins Logging, Inc., and has been in logging for more than three decades. As a result, he’s had a front-row seat to the evolution of modern logging. Slowly, interest in cut-to-length harvesting appears to be stirring in the heart of the South. 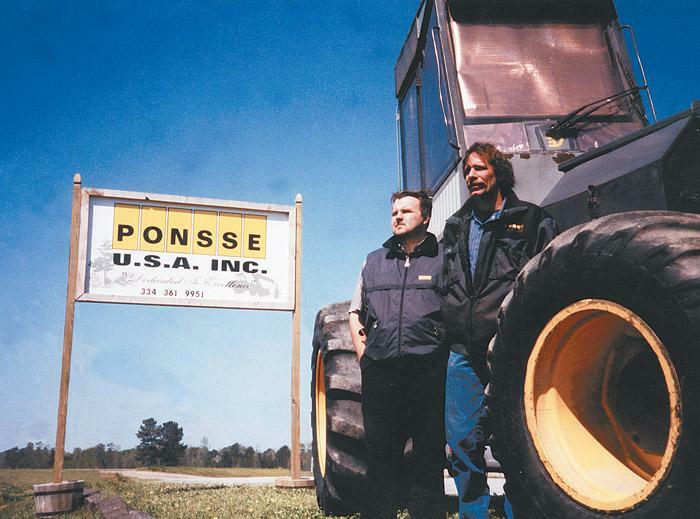 In little more than a year, Ponsse USA Inc. has placed five harvesters and five forwarders in Alabama and Georgia. 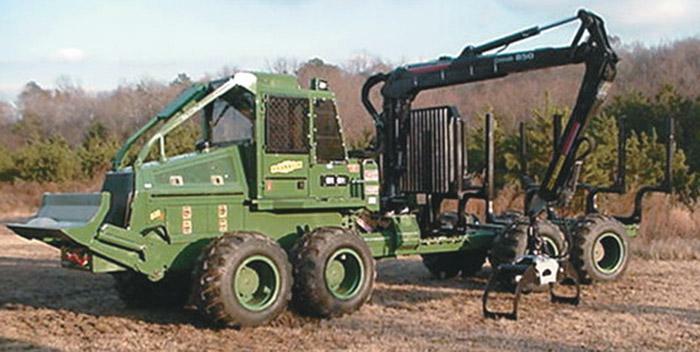 These are in addition to another harvester and forwarder it sold in 1999 in central Georgia. 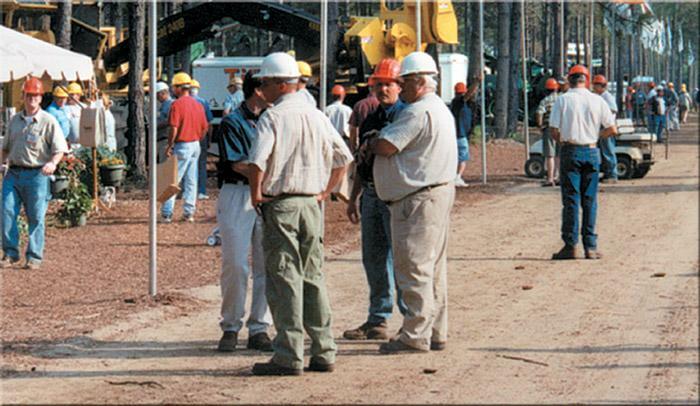 SLT’s April 1992 issue spotlighted Fruitdale, Ala.’s Tri W Timber Co. The company was owned jointly by a father-son-daughter trio—T.G., Wade and Regina Williams—and specialized in thinning, running five crews dedicated to the harvest. Iron included five Hydro-Ax 16 in. shear feller-bunchers (two tri-wheel 221s and three 441s), five Deere skidders (four 640Ds and a 548E), five loaders (two Barko 160As, two Prentice 210Ds and a Log Hog 860) and five slasher units (four CTRs and a HydroBuck). The sale of our mill at Madison, South Carolina, along with the 20,000 acres of land to Mr. R.G. Wood that occurred in May 1905, concluded the second phase of my life. I think it might be wise at this place to pause for an instant and give a few anecdotes of the life that we led at Madison for three years. We had plunged recklessly and ignorantly into backwoods and lawless country and had attempted a business that was risky and of which we were absolutely ignorant. Timberjack in the Woods 2003 unfolded in Charlotte, NC April 11-12, drawing the strongest customer-dealer turnout yet. Eight John Deere-Timberjack dealers, bonding as “Team South,” delivered more than 900 customers from Florida to Virginia. They braved torrential rain and even snow to participate. The first such event this year drew 800 in Shreveport, La. Franklin’s new 832 S2 eight-wheel bogie continues the Franklin tradition of tough, dependable North American forwarders. The Cranab loader and pressure compensating hydraulic system provide smooth, fast loading and efficient operation. Joystick controls for the forwarder and loader are armrest mounted on the comfortable swivel seat. 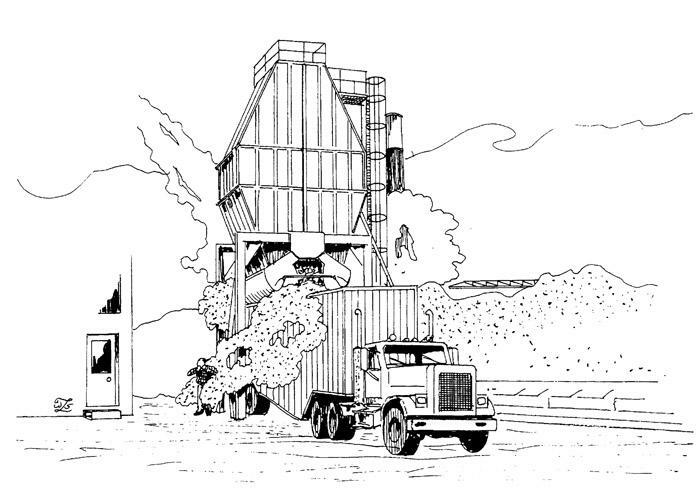 At a Western mill, a chip truck driver was loading chips from a clamshell bin. The chip truck driver had four years of experience in hauling chip loads. 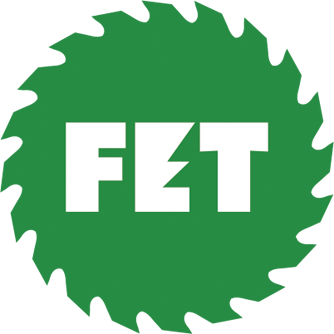 He had received a standard orientation of one week with an experienced chip truck driver and was attending three safety meetings per year, per his company’s policy, as well as an annual advanced training ride with a safety trainer.